While travelling the length and breadth of a continent in an RV is nothing short of a thrilling adventure, the day-to-day reality can actually be a little bit different. Watching the landscape change while conversing with your travel buddy is one great way to pass the time, but even this can become tiresome surprisingly quickly. Sometimes when you've spent the best part of 3 days within the confines of a vehicle, you need to get a little bit creative in order stave off the inevitable boredom. Here are some of the top tips for keeping yourself occupied during those long stretches on the road. We all wish we spent more time reading and enriching our knowledge, but surprisingly few of us would genuinely describe ourselves as bookworms. A key perk of living a life on the road is that you can expand your mind in other ways too, by seriously expanding your literary wisdom and diving into all those books you've wanted to read forever. Reading on the road is probably the most efficient way possible to burn through all those classics you've been meaning to read for ages, and nothing beats sinking into a great book as the midday sun rises across a dramatic roadside landscape. Although this option probably carries less cultural capital than inhaling the Complete Works of William Shakespeare, it's definitely a highly effective way to stay entertained and ensure your lengthy journey passes by in a blip. Make sure you have the best and most engrossing games on your phone, and if you're prepared enough to have installed internet in your RV, then the options are limitless. You can turn up the thrill factor on your long journey by doing some online casino gaming, and with the types of slots you could find at All Slots, there's literally no shortage of varied games to ensure that 14-hour drive feels like 14 minutes. This option is great if you're looking to be as productive as possible with your time on the road. Make sure to bring along some paper, pencils and even paint and see how well you can draw a still-life while in the back of a 2-ton vehicle going 80mph, and you're guaranteed hilarious results. 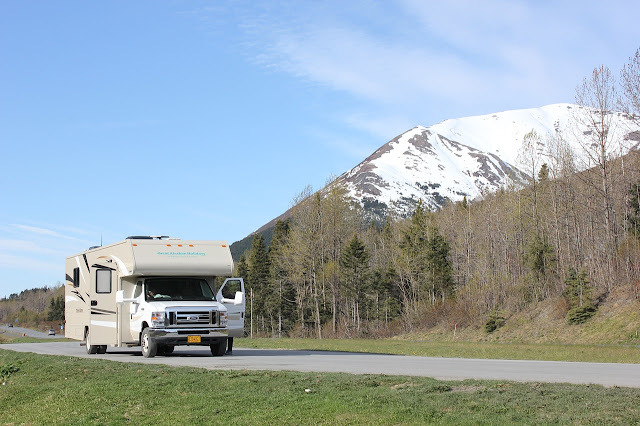 It's also a great time to spend honing your photography skills, snapping pics of life in the van as well as any interested sights that usually just blur by without anyone noticing. It's all good practice for when you're planning on taking some top-notch travel photos of the destinations you arrive at. If you have any tips for passing time during those long stretches on the road, comment below! Hand write (needy person) a note. Tell them about your travels & you're thinking of them! Mail a hand made "Happy Card" to grandkids or lonely person. We are definitely readers and surfers of the net for news locally and internationally. Also we keep tabs on family and friends in Edmonton and internationally, emailing pictures as we go along. I have an iphone and I‘m quite satisfied with the pictures I take as we are driving by scenery and the likes. The photos are uploaded automatically to Google photos whenever we are on wifi so I dont have to worry about storage and posting on FB is a hobby of mine as well while Paul is reading or surfing. We have a few books in our rv that we own but noticed that we don’t use them as much since we find other interesting books in campgrounds where you “take one and leave one”. Listening to music and the news on Serius XM also help kick start a new conversation going. We have driven anywhere from 6-12 hour streches but have managed to bridge the boredom abyss. Hahaha. Taking frequent breaks to limber up those buttocks and legs is also a must do. These are how we keep our sanity while driving inside a 20 ft mini- motorhome. Works for us but it’s not for anyone else I think. We switch drivers every hour and have found that the simple walk around the car eliminates aches and pains. We also listen to audio books borrowed from our local home library. We can even borrow them when we are overseas and it is as si pile as buying a book on Amazon. You do need a good WiFi connection to download. Had a wonderful conversation with an American RV-er at a pull-out between Banff and Jasper...he had me rolling over with laughter. He was on his way home and said..."Every day after 3 weeks, this RV gets a foot shorter".